Several local businesses and organizations accept printer cartridges for recycling. Companies like Samsung, Staples, Xerox, and HP offer free takeback/recycling programs for your used printer cartridges. If you are an administrator or teacher, or involved with a non-profit organization, Cartridges for Kids will pay for and recycle your used cartridges. They accept laser and inkjet cartridges, and they provide free labels. Send your used inkjet and laser toner cartridges for free to Recycle for Breast Cancer. They provide free envelopes or carriers for your cartridges, as long as they are not Epson or Canon ink tanks, as these are not recyclable. 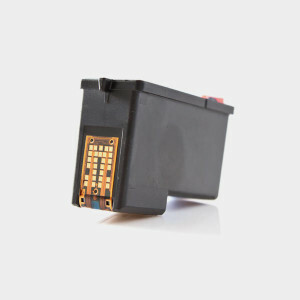 Send your used cartridges to Quill.com’s ink and toner recycle program. You earn $2 of QuillCash for each cartridge, which you can use to purchase new ink and toner. Best Buy stores accept ink and toner cartridges, which can save you $2 in Recycle Rewards for a purchase of $40 or more. Find the nearest store. Staples accepts ink and toner cartridges online and at their store locations. You can receive a cash reward of $2 for recycling used cartridges. To qualify for cash back, cartridges must be purchased from Staples no more than six months before. Find out how to return cartridges. Some companies, like Xerox, now make printers that use cartridge-free solid ink, which creates up to 90% less waste and uses 30% less energy than the cartridge using alternatives. Leaving your printer on at all times will avoid starting an ink-wasting maintenance cycle. According to an interview Canon did with Consumer Reports, if you turn the printer off “it may do a longer clean.” Even though they are consuming energy when on, inkjets consume very little power when they’re not being used. If you’re not working on something important, print in draft mode, which reduces the amount of ink that gets used. Large photos, especially those printed in high-quality mode, use up the most ink, so refrain from printing them out whenever possible. It’s a good idea to use a laser printer for black and white printing jobs since laser printers don’t use maintenance ink and are great at printing out text. Inkjet411 is a refilling service which operates through stores like Costco and Fry’s Electronics. Instead of buying new printer cartridges, refill your old ones. If you want to do it yourself, just buy an ink refill kit at an office supply store, and follow these instructions. It’s no secret that while you can get a printer for really cheap, the ink is really expensive, and it’s nearly impossible to get away with using an “unofficial” printer cartridge. This is no accident: printer companies like HP have argued that it’s costly for them to research and develop the ink. Consumer Reports and eBay have great articles on how to save money and buy eco-friendly printers, respectively.